During Nintendo’s E3 conference this morning, the upcoming DLC packs for The Legend of Zelda: Breath of the Wild were shown in action. By re-seating the Master Sword in DLC Pack 1, “Master Trials,” Link was shown teleporting into a new kind of shrine called “Trial of the Sword.” Trial of the Sword is a wave-based mode which has Link facing an increasingly difficult array of enemies in various environment types, including forest and mountain regions, all while enclosed in a shrine-sized area. Similar to Eventide Island in the main game, Link starts without any weapons or armor, and will have to use his skills and wits to beat the challenge. Also shown were new armor pieces: Majora and Midna’s masks, as well as Phantom armor and Tingle’s outfit were shown in game for the first time–Majora’s mask and the Phantom armor being the most visually striking. Hard mode, where enemies are harder and regenerate health, is now called “Master Mode.” Enemies can also be seen floating around on wood platforms supported by Octorok balloons. 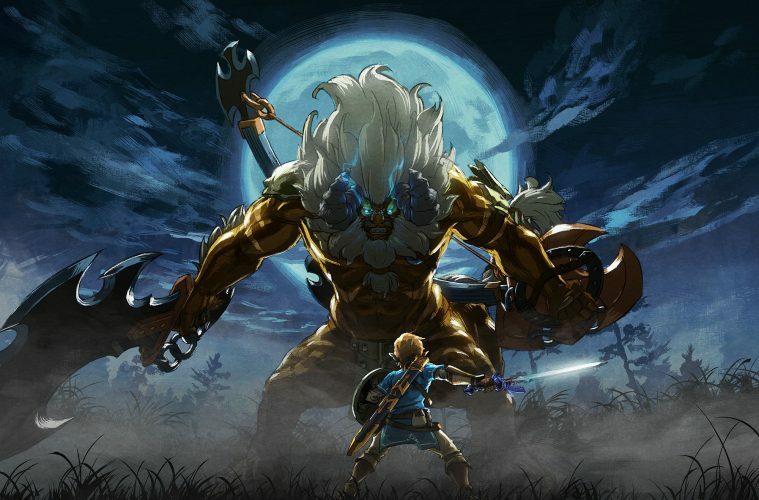 A new enemy level was shown as well–gold enemies will be the biggest challenge yet, with a gold Lynel teased roaring at Link. “Master Trials” releases this summer for both Switch and Wii-U. DLC Pack 2 was also announced as “The Champions’ Ballad.” Kass returns to tell a new ancient ballad, this time concerning the four Champions in Breath of the Wild, Daruk, Mipha, Revali, and Urbosa. No new gameplay was shown–only memories from the main story campaign–but the story DLC has been confirmed to feature at least a new dungeon and “even more new challenges.” amiibo of the four champions were shown to release alongside the DLC this holiday season.